Clingendael is one of the most beautiful estates in the Netherlands. 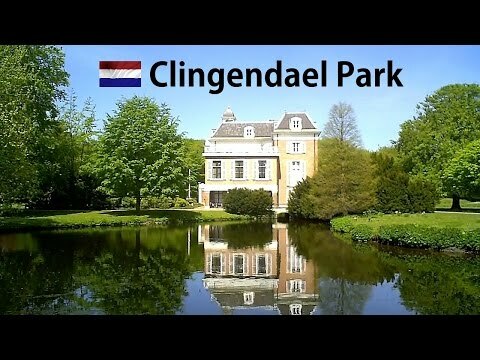 The park located between The Hague and Wassenaar has an eventful history. Since the sixteenth century, various garden and landscape architects have contributed towards the look and atmosphere of this country estate. In the 19th century the garden architect Zocher replaced the garden's original French design by the English landscape style that was so popular in those days. Later the garden was turned into an Old Dutch park and a Japanese garden was added to it. Behind Huys Clingendael residence lies a large playground and field where children play and families enjoy picnics. There are several walking routes you can follow and there is also a tearoom you can visit for a cup of tea or coffee with apple pie or an ice cream. The Clingendael Estate is open all year round and freely accessible. The park can be reached by car via the Van Alkemadelaan and the Wassenaarseweg. Under no circumstance can cars be parked on the Clingendael estate. Bus lines 18 and 23 also provide a means to reach Clingendael.